Zoysia grass is a warm-season turfgrass found throughout South Carolina. Preferring warmer temperatures between 80 and 95 degrees Fahrenheit, zoysia grass grows the most during late spring, summer and early fall. Like other warm-season grasses, during the cooler winter months zoysia grass turns brown and goes into dormancy. Zoysia grasses are generally slower growing than other warm-season grasses, although many varieties of zoysia have specifically improved this attribute. Common zoysia grass (Zoysia japonica) forms a dense turfgrass with coarse leaves and has a greater cold tolerance than other warm-season grasses. Meyer grass has medium-textured leaves and is cold tolerant. Faster spreading than regular zoysia grass, Meyer grass is commonly referred to as "Z-52" or "super" grass in South Carolina. Belaire grass has a light green color and is cold tolerant. 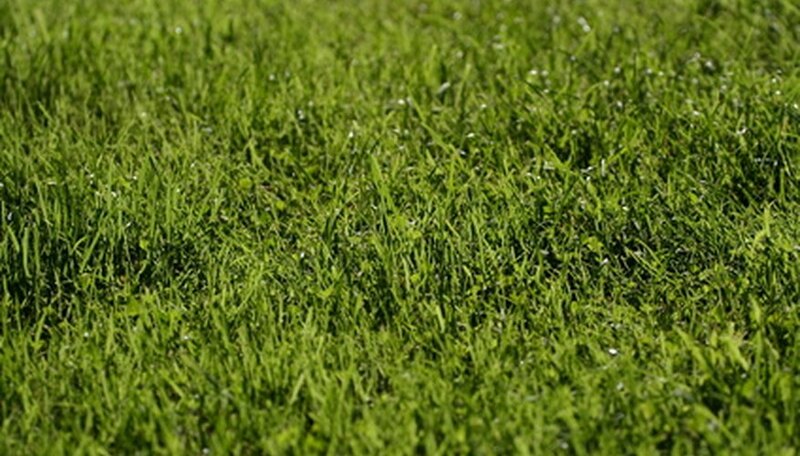 Compared to Meyer grass, Belaire grass has a coarser leaf texture and spreads more quickly. This variety of zoysia grass is highly susceptible to brown-patch disease. Emerald grass has a dark green foliage and fine leaf texture. More shade-tolerant than Meyer grass, Emerald grass is one of the most attractive and high maintenance varieties of zoysia. This grass variety lacks cold tolerance and is prone to excessive thatch buildup. El Toro grass is a newer variety of zoysia that was developed in California and has a similar appearance to Meyer grass. The fastest growing zoysia variety, El Toro is tolerant of mowing to a low height, and is not prone to thatch buildup. Zenith grass tolerates moderate shade, has dark green foliage and forms a medium density turfgrass. This zoysia variety is commonly planted by seed and should be sowed at a rate of 1 to 2 lbs. per 1000 sq. ft.
What Is Meyer Zoysia Grass?